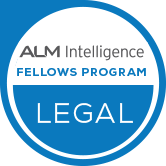 October 10, 2018 — Calibrate Legal CEO Jennifer Johnson Scalzi’s latest article on the state of hiring in legal marketing and business development has been published on Law.com via the ALM Intelligence Fellows program. A wave of apathy has hit the legal marketing/business development profession just when new talent is sorely needed to inject energy and specialized expertise into firms to ensure they survive and thrive amid unprecedented industry pressures. A great demand… and a collective “yawn” from candidates. In this time of change, a tremendous need has arisen for skilled legal marketers. Today’s market is very similar to that of the early 2000s when legal marketing really took off in earnest to try and catch up with accounting and consulting firms, with the supply of talent available coming nowhere near to meeting the demand. Now firms are facing competition from non-traditional providers of legal services as well as increasing client demands to provide greater value. Further, many firms are looking for talent with very similar skill sets. Every day, legal marketers tell us that they are being bombarded by recruiters. But because all of the positions appear the same on the surface, many candidates don’t take notice even with a plethora of seemingly interesting opportunities available. Step up on the basics! Just when their firms are called upon to showcase differentiation, in-house recruiting and HR teams must rise to the occasion to attract suitable talent. Resting on cut-and-paste job board posts, does not inspire great candidates to beat down your door. Unprepared interviewers—a candidate’s time is precious too. Ensure your firm’s representatives are well-prepared and thus make a good impression. Be ready to clearly articulate what your firm has to offer. Notwithstanding rampant misconceptions, today’s marketing and business development professionals are inextricably tied to revenue generation. They work closely with lawyers to help them understand their prospects, their clients, their industry and work with them to develop plans to gain more business. They watch the competition. They know which marketing efforts can return the most results. They are probably the savviest of candidates because they commonly work at the heart of the firm’s business and, as such, are keenly attuned to gauging whether the culture the firm expresses during the recruiting process is authentic. To attract inspired marketing professionals, take time to prepare your firm’s story and present it in a compelling and transparent manner. Educate your lawyers on market challenges. The success rate of wooing someone from a peer firm who can ‘plug and play’ is increasingly low. Smart firms think outside law and remain open to accepting candidates from other professional services firms. Encourage lawyers to consider hiring professionals who are knowledgeable in their clients’ industries and businesses. Growing numbers of professionals from energy, health care, financial services, insurance and consulting firms are well-prepared to lend insights that the “usual suspects” and other outsiders cannot. Firms who succeed in the future must intentionally fine-tune their efforts. With the right care and attention on the talent acquisition side, candidates will interview with you and simultaneously appreciate that you understand their potential value, and how they can realize their own ambitions. 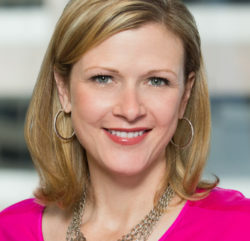 Jennifer Johnson Scalzi, a member of the ALM Intelligence Fellows Program, is the CEO of Calibrate Legal, a North American leader in accelerating the business side of law.